The third of our themed summer concerts. This celebrates “music of the night”. Does that remind you of anything? 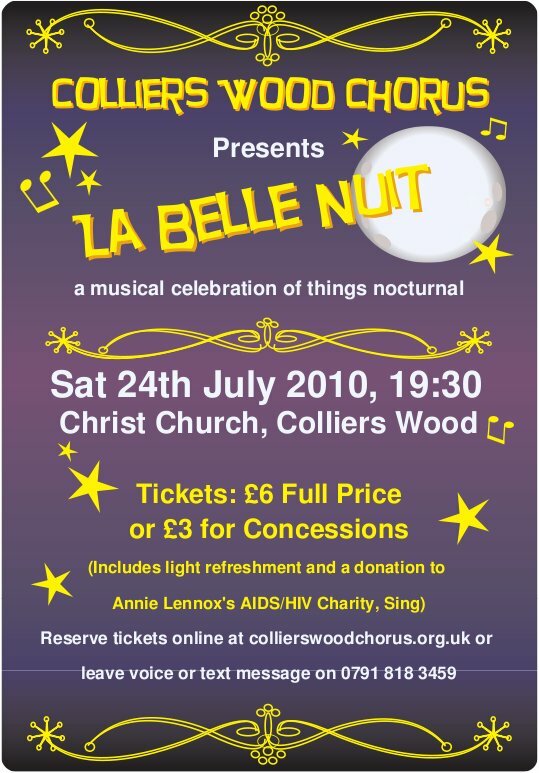 We are supporting Sing, Annie Lennox's HIV/AIDS charity.